Lots To Do At The 2017 CHBTC AGM! Our Tuesday Hikers always have something to be proud of. In 2016, though, one of their accomplishments was offering a Tuesday hike just about all year round! This was only possible because of the hike leaders who stepped forward to plan hikes and fill openings in the schedule. Last year, the Tuesday Hikers were fortunate to have more hike leaders come on board, which was thanks in part to the Hike Leader Training course. Our records for this hiking group give us some interesting insights into last year’s hikers and the hiking season. It turns out that the hot and dry summer weather kept hiking attendance numbers low, but then hikers took advantage of the beautiful fall hiking weather, when we saw weekly Tuesday hike attendance in the mid 20s, with a couple of Tuesdays numbering in the low 30s! The popularity of the Tuesday hiking group has grown, with 2016’s weekly attendance averaging 18. Among the Tuesday Hikers’ other accomplishments in 2016, were that most of those participating in Tuesday hikes were also Bruce Trail members, and that this group raised $846 for the Bruce Trail Conservancy through their loonie fund. For more stories and info on this enthusiastic hiking group, check out their page on our website! 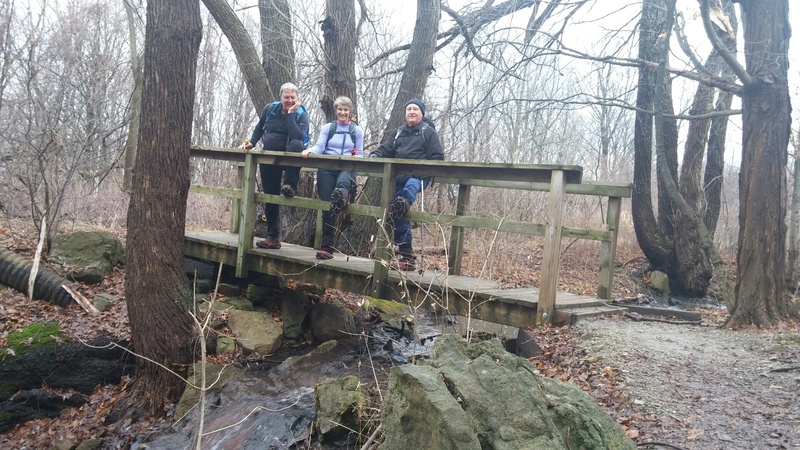 Hike Leader Training courses are conducted for the Caledon Hills Bruce Trail Club by Hike Ontario periodically throughout the year. Interested in becoming a hike leader for any day of the week? Watch our website for upcoming opportunities.